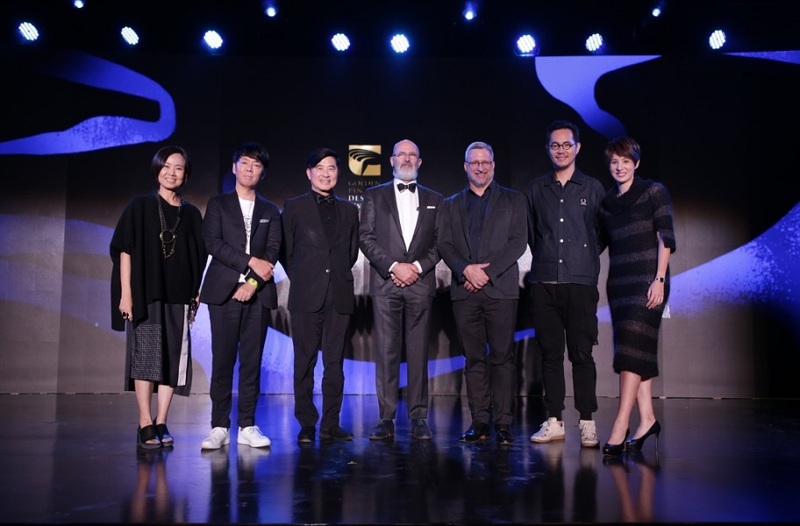 On the morning of November 29 at the Multi-Showcase Hall in Taipei’s Songshan Cultural and Creative Park, the Golden Pin Design Award held its annual Forum where trailblazing international designers spoke to the huaren design community. 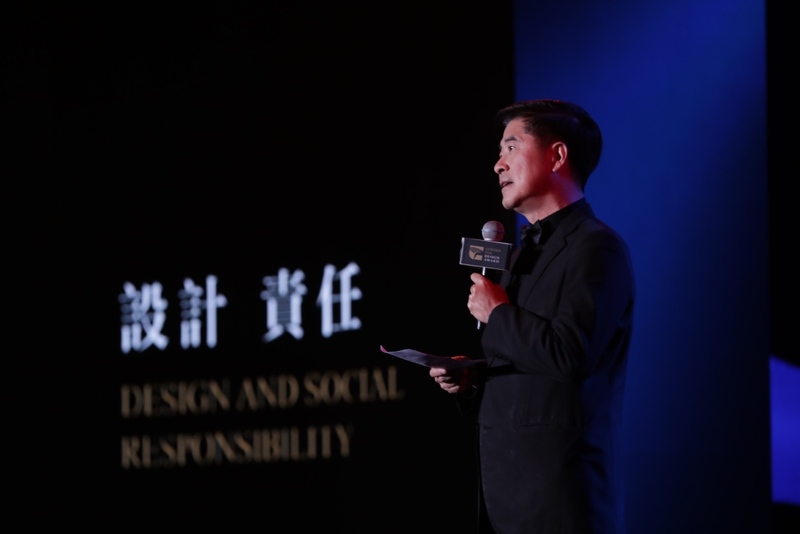 This year’s theme was design and social responsibility, discussing how designers can better serve society. The Forum’s speakers, who come from the Netherlands, Japan, USA, and Singapore, offered solutions to problems that exist between economic development and human or environmental welfare. 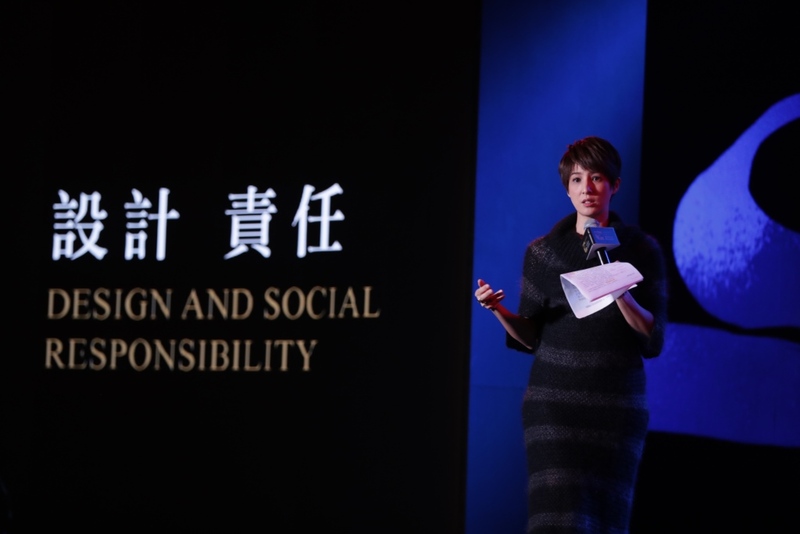 TV news anchor, Lulu Hsia hosted the Forum, and the keynote address was given by Chi-Yi Chang, Chairman of the Taiwan Design Center. In his opening remarks, Chang noted some trends among this year’s more than 7,500 award entries. 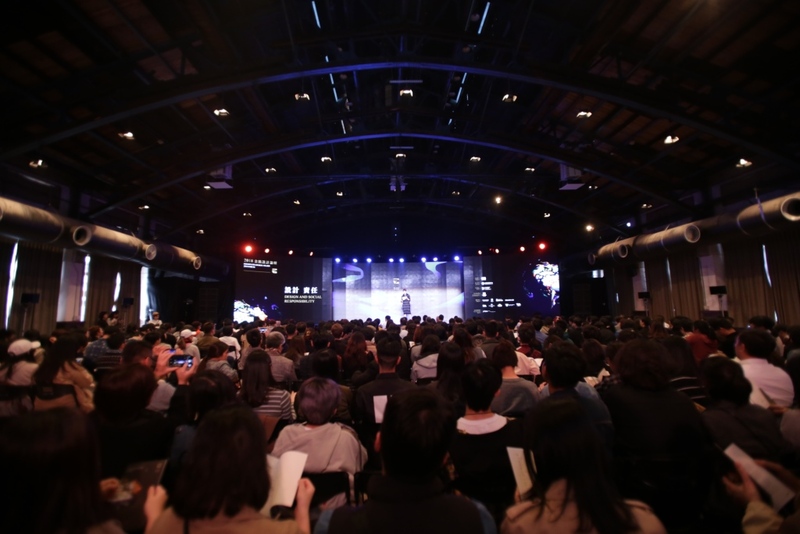 After the introductions, the four international design experts took to the stage, each speaking for twenty-minutes, then answering questions from Lulu Hsia for ten-minutes. Their topics, addressing design and social responsibility, ranged from education to business and culture. 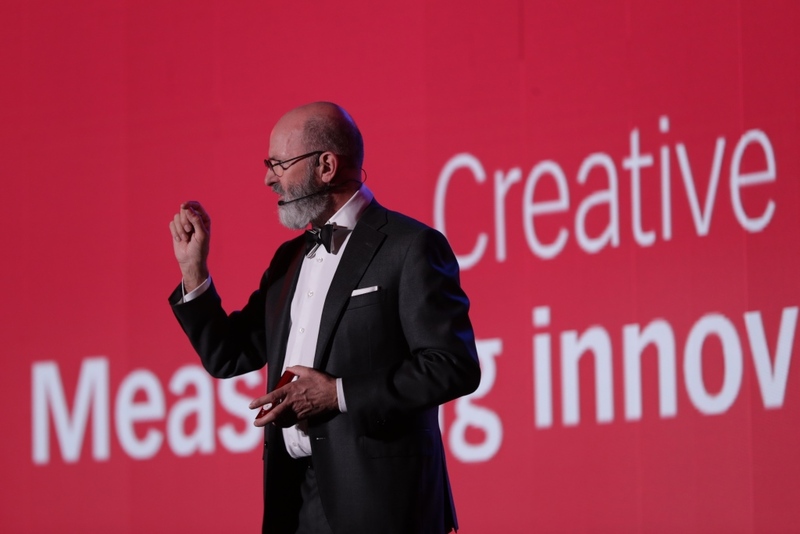 First up was Dutch designer and visionary Ad van Berlo, founder of VanBerlo, founding partner of IQ+ Innovation Capitalist, and part-time professor of Entrepreneurial Design of Intelligent Systems at Eindhoven University of Technology. He introduced his theory of ‘Creative Equity’, which is his vision for how creatives can enhance their value. One of the ways designers can reap higher returns on their innovation, he said, is to bring people and technology closer together rather than simply focusing on making things that are aesthetically pleasing. The key to being successful in multi-disciplinary design, he said in the course of his presentation, is to open your firm up to the knowledge of the world at large, as VanBerlo has done by employing people of 15 different nationalities. Later, van Berlo implored companies to utilize a bottom-up approach to innovation, the most effective method to innovate in his opinion. He called for more designers to be included on the Board of Directors across a variety of industries and organizations. Too many CEOs, he said, look at designers only in terms of the bottom line. Next to the stage was Kashiwa Sato. A rock star of the Japanese design and creative industry, a bestselling author, and the Creative Director of SAMURAI Inc., Sato spoke about ‘Creating new perspective for early learning’. His talk centered on the case of Fuji Kindergarten in Tokyo, which follows the Montessori Method whereby children are granted the freedom to learn through discovery, and which was designed by Sato himself. Sato later drew attention to yet more features of the unique building which made international headlines thanks to its revolutionary approach to facilitating learning through design itself. And thanks to Sato’s pioneering work, the kindergarten, which opened in 2007, saw unprecedented demand for enrollment; a feat made all the more impressive by the fact that Japan is one of the most rapidly aging societies in the world, as it endures a period wherein the national birthrate has fallen to an all-time low. “Our kindergarten was on the front page of a mainstream newspaper. We have 600 students. Usually you need six months to recruit that many. But after it was in the newspaper, we got that many within two days,” he said. The third speaker to address the audience was American interior designer and architect, Edmond Bakos, Managing Director of Champalimaud Design (USA), discussing his concept of ‘Re-Imagining Sustainability: Designing for Longevity’. 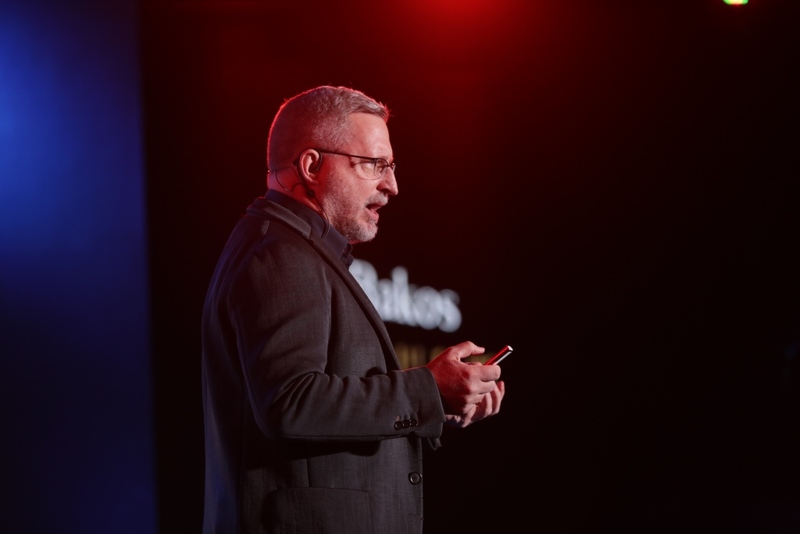 Throughout his talk, Bakos drew on his experiences of traveling all over the globe for various design projects. “The key to our work is being a kind of cultural anthropologist, looking at the way different people around the world think of luxury, and creating spaces that are inspiring and capture your imagination,” he said. Bakos also expounded upon the responsibility of designers, particularly in the architectural sphere, to supplant the current culture of ‘build-demolish-rebuild’. A flagship project for Lee and Asylum was The Warehouse Hotel on Singapore’s Robertson Quay. The 120-year-old building had previously seen life as a spice storage facility, a center of bootlegging, and even as a disco in the eighties. Lee and his team searched for a way to incorporate the history of the space into something more contemporary. Last to speak, but certainly not least was Chris Lee, Founder and Creative Director of Asylum (Singapore). 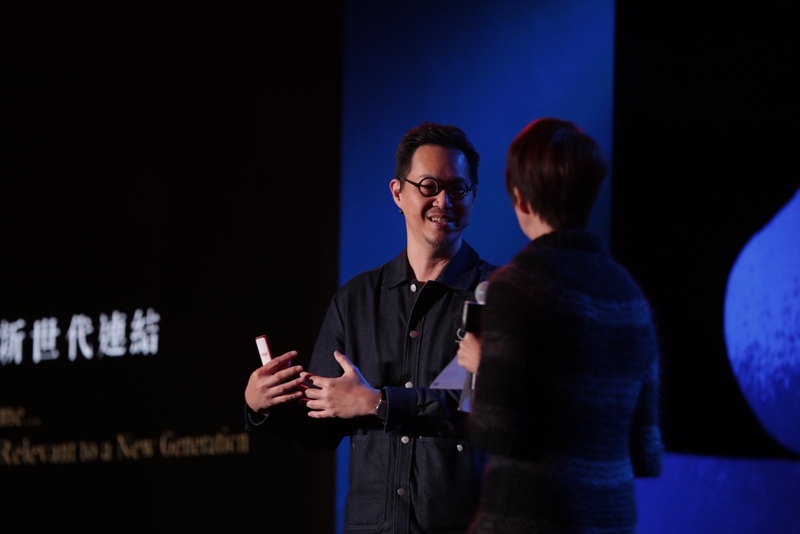 A maverick of the Singaporean creative sphere, Lee titled his talk ‘Once upon a time…Making history relevant to a new generation’, in which he discussed design education. “The idea for us was how to engage people who want to appreciate the culture, and have a bit more money to spend, and are tired of staying in business hotels, looking for a different experience. Stylish, worldly, independent people,” he said. Concern for the natural environment was never far from Lee’s mind as well, as he sought to utilize reusable materials wherever and whenever possible, and to do things in-house. Like Bakos before him, Lee also drew attention to the fact that going forward, design should be about reusing what is already available; not about destroying what’s already there and building atop the old foundations. “Everything is new in Singapore,” he said of his home city-state. “Everything is modern and boring. The idea of reusing a building without interjection is good. You want to keep the integrity of the space, but you want to say something to the modern-day user.